This is a seductive watch. Its name “Black Tie” is perfect, although it also goes great with jeans and a t-shirt. 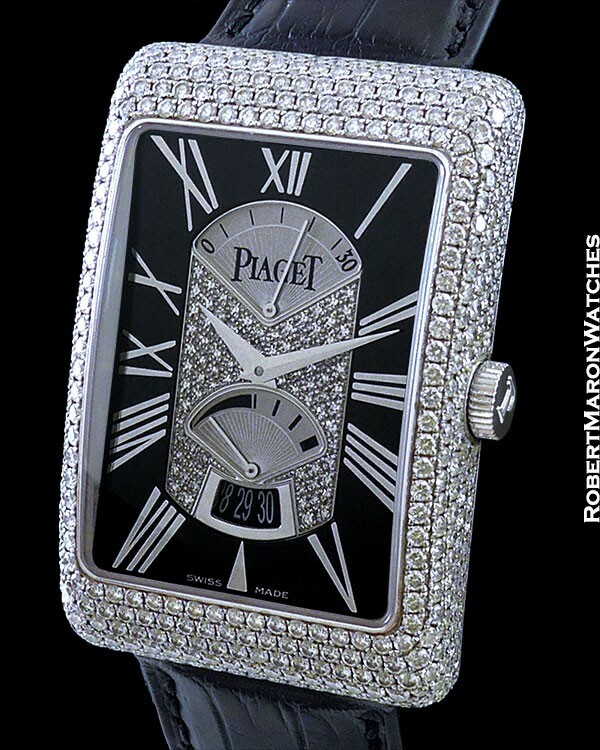 Case is a factory pave diamond 18k white gold rectangle with dimensions of 46mm by 31mm by 10mm thick. Sapphire front crystal. Complications make a watch more fun and useful, and this watch has a retrograde fly-back 30 second seconds indicator, retrograde power reserve and date window. 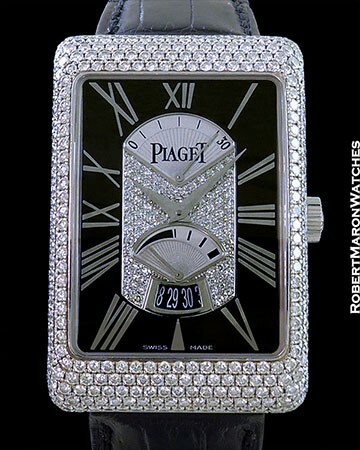 Dial is black with roman numerals and pave diamond center. 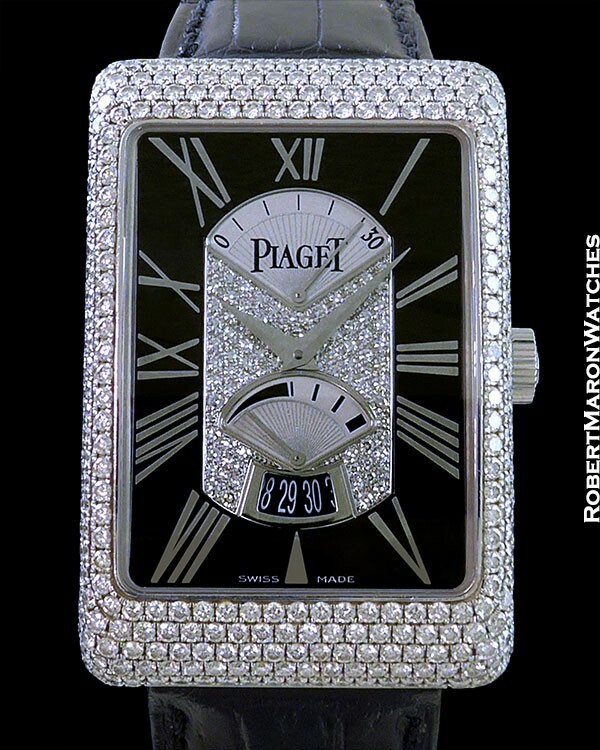 Automatic winding Piaget Caliber 561P with 26 jewels, Glucydur balance and self-compensating balance spring. 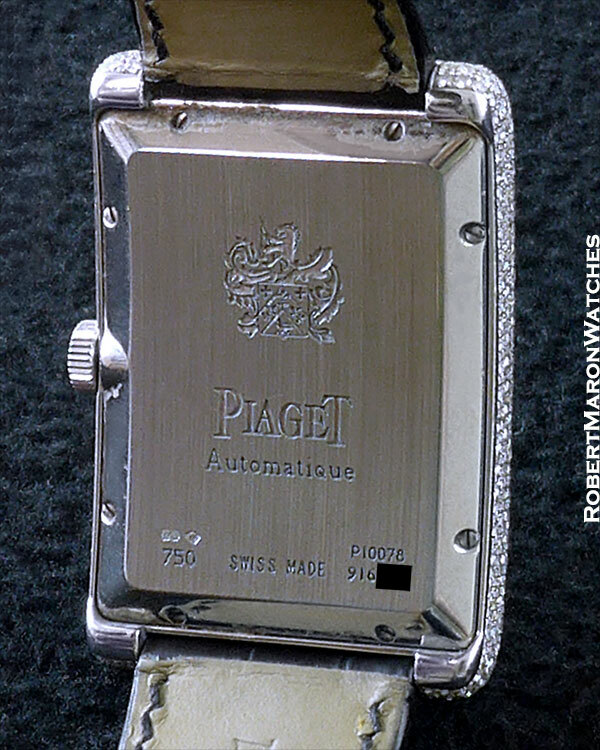 Piaget is known to make high-grade watch movements and this movement is their best automatic winding movement. 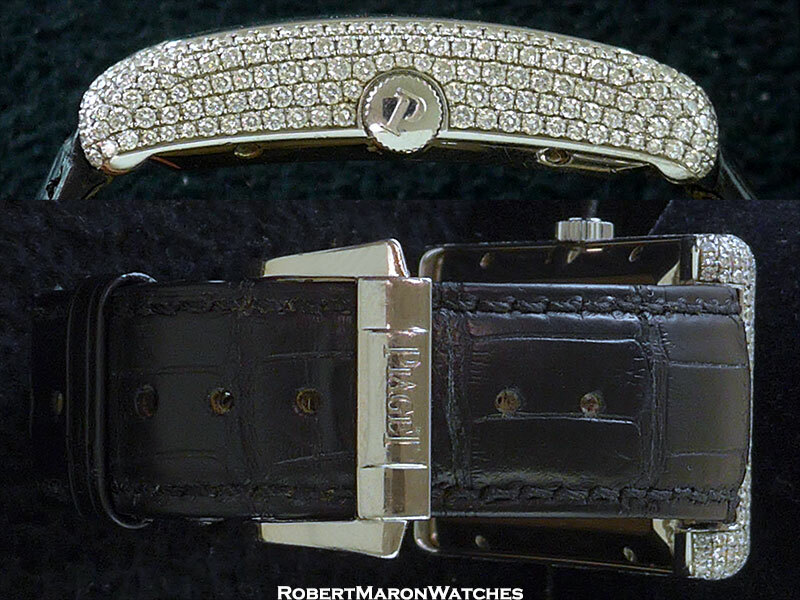 Strap is black Piaget crocodile with 18k white gold Piaget deployment clasp. Condition is like new. Retail price is $109,000.